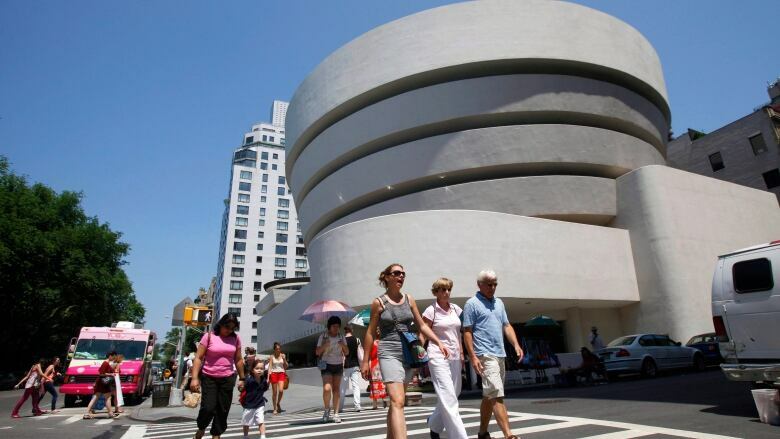 The Guggenheim museum in New York is the latest major art institution to stop accepting money from the Sackler family, which has been tied to the growing opioid crisis in North America. The Guggenheim in New York is the latest major art institution to stop accepting money from the Sackler family, founders of a pharmaceutical company linked to the emergence of the ongoing opioid epidemic. The museum shared the decision on Friday and confirmed $9 million US had been donated by family members between 1995 and 2015. "No contributions from the Sackler family have been received since 2015," the statement said. "No additional gifts are planned, and the Guggenheim does not plan to accept any gifts." While the Guggenheim did not make any links to the opioid crisis nor offer a reason for the announcement, the move comes just a few days after Britain's National Portrait Gallery revealed it would not be moving forward with a $1.3-million donation from the Sackler trust. 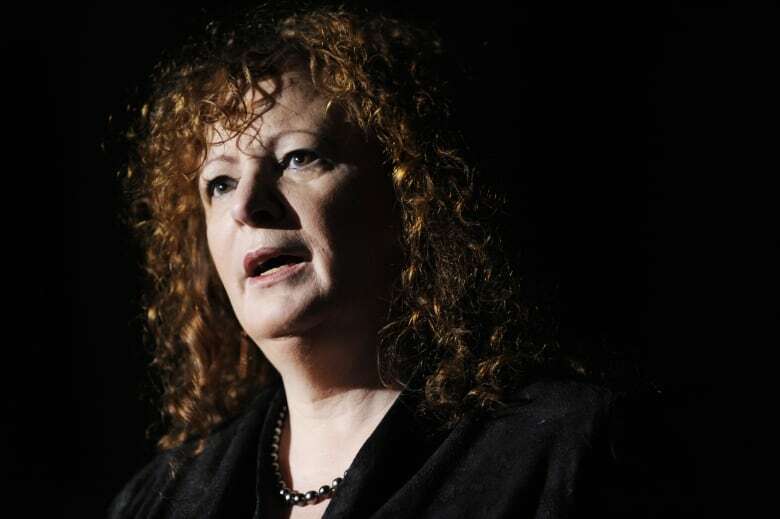 Nan Goldin, an American photographer and opioid addiction survivor who has been lobbying institutions through her artwork to stop taking Sackler money, told CBC's As It Happens following the Portrait Gallery's decision that this is "a time of transparency." "Hopefully, it will have a domino effect," Goldin said. 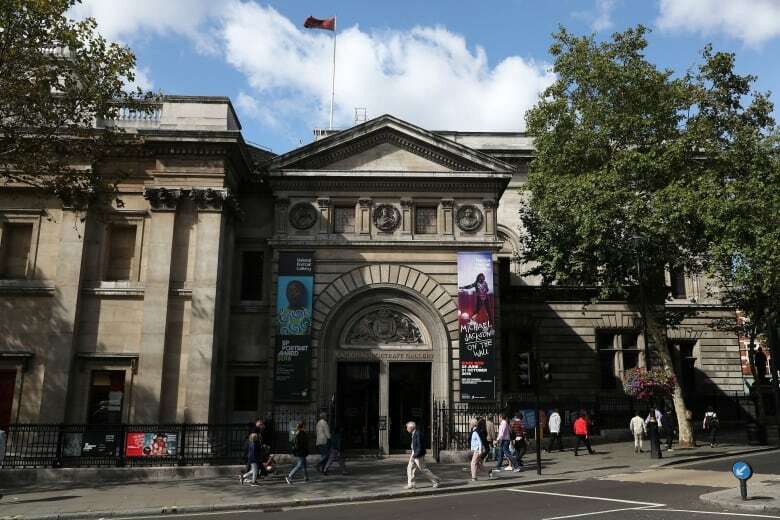 "Hopefully, other museums and universities will step up." Members of the wealthy Sackler family founded Purdue Pharma, which released OxyContin in 1996. The introduction of the prescription painkiller coincided with a surge in opioid addictions and overdoses. Government data shows more than 9,000 Canadians died due to opioids between January of 2016 and June of 2018. In the U.S., opioids were involved in nearly 48,000 deaths in 2017, according to the Centers for Disease Control. 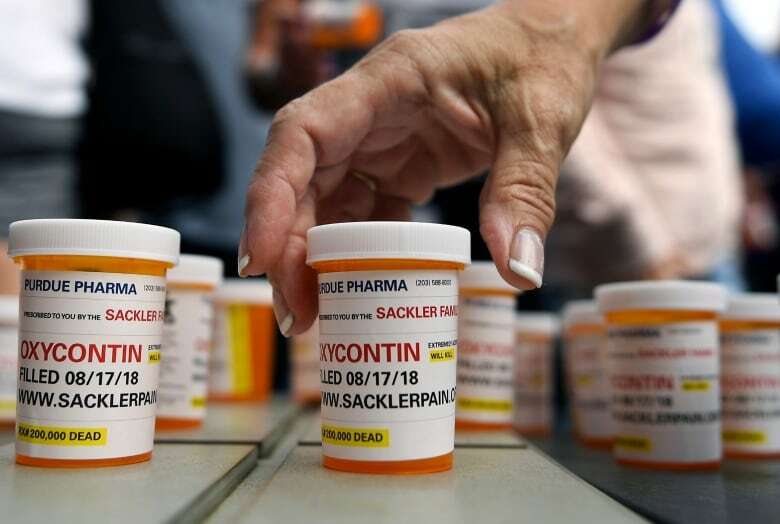 Purdue Pharma and the Sackler family are facing nearly 2,000 lawsuits, accusing both the individuals and the business of causing the deadly opioid crisis across North America. The family says the allegations "are vigorously denied" and "baseless," arguing there were warning labels for its drugs about the risks associated with addiction. In 2007, Purdue Pharma's parent company pleaded guilty to a U.S. felony charge of "illegally misbranding Oxycontin in an effort to mislead and defraud physicians and consumers." The business, which by then was worth billions of dollars, agreed to pay $600 million in fines and penalties. 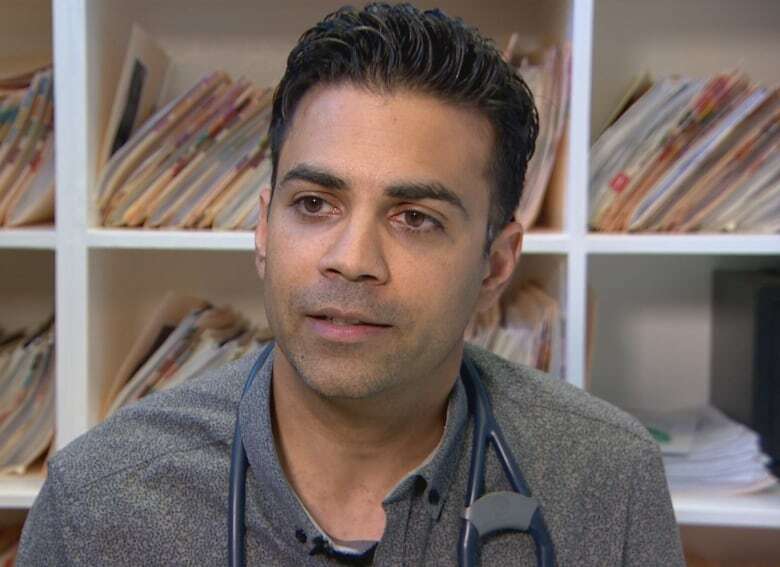 Dr. Hakique Virani, a public health and addiction medicine specialist at the University of Alberta, says it's taken a lengthy period of time for cultural institutions to "connect the dots." "We have known Sackler money is dirty money for over a decade," said Virani, an outspoken critic of how the opioid crisis has been handled across North America by governments and health officials. "Their company is guilty of not just unethical business practices, but criminal ones. So it feels at least overdue that their beneficiaries are re-thinking memorializing them." The Guggenheim's Sackler Center for Arts Education, which was established in 2001, will remain as is, according to the New York Times. A spokesperson told the media outlet the name was contractual, and there were no plans to change it. 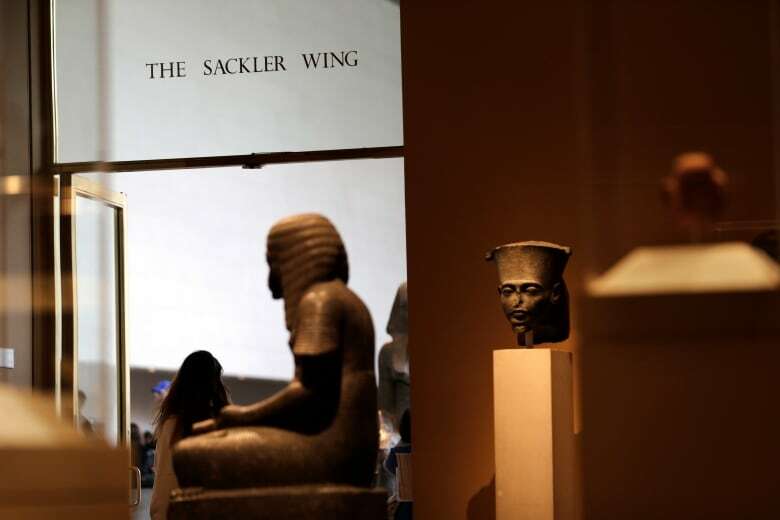 The family of the late Mortimer D. Sackler, a co-owner of Purdue Pharma known for his philanthropy, has donated to several other major museums, including the Louvre and Smithsonian. New York's Metropolitan Museum of Art has a "Sackler Wing." Earlier this year, the Met said it was reviewing its "gift acceptance policies" but so far, no changes have been made. Virani says, while rejecting Sackler gifts might "demonstrate a bit of respect for people and families" harmed by the drug, it isn't going to have an effect on the epidemic itself. "The conversation about whether or not Mortimer Sackler has his picture in the Met mustn't detract from those ongoing and urgent issues," he said.